I have arranged for a group to attend the American Cultures Merit Badge Workshop being held at the Asia Society Texas Center in Houston at noon on May 9th. The class is two hours long, and the Asia Society tells me that the scouts will cover all requirements for the badge and get a guided tour of one of their new exhibits. They are holding a few spots for us, but we need to confirm with them in the next couple of weeks. We should be able to get additional seats if we need to. The cost for each scout is $10. Additional info is included below. Feel free to contact me if you have any questions. Come to the Asia Society Texas Center where you can earn the American Cultures Merit Badge. The workshop will focus on how immigrant groups contributed cultural traits to the United States of America. The topics will include arts, languages, religious traditions and social customs from Asia and Europe. The day will end with a guided tour of The Other Side: Chinese and Mexican Immigration to America and a project based on ancestry and heritage. Carpools will leave the J.C. Penney parking lot at 11:15 am. If you don’t wish to carpool, please make sure that your driver has plenty of time to park and take care of event tickets. This training, led by Northern Star District, will provide you with all of the information you need to become a Merit Badge Counselor. What is a Merit Badge Counselor, you ask? 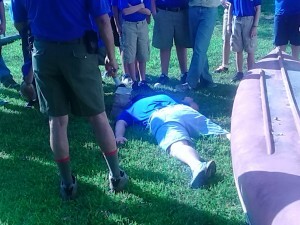 As you know, a large part of Scouting consists of the boys earning Merit Badges. Badges can be earned at various camps and classes but also on an individual basis. That is where the Merit Badge Counselor comes in. When a boy chooses to work on a badge on his own, he must work with a Merit Badge Counselor. If you have an area of interest or expertise in one or more of the current Merit Badges and would like to share your knowledge, then you are a good candidate to be a Merit Badge Counselor. The course will cover the requirements of a Merit Badge Counselor, what the duties/expectations are of a Merit Badge Counselor and what you need to do to become a Merit Badge Counselor. If you would like to attend, there are TWO options for signing up. 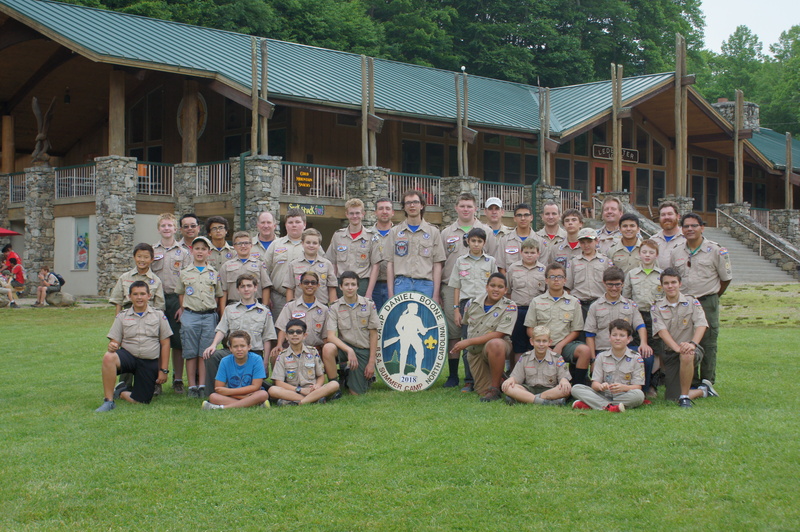 There is a sign up sheet at the Scout House OR you can register online by clicking HERE. Note: Although the online registration shows “tickets”, you won’t need a ticket to attend. Just register and show up! If you have any questions, please contact Jeff Blackman. 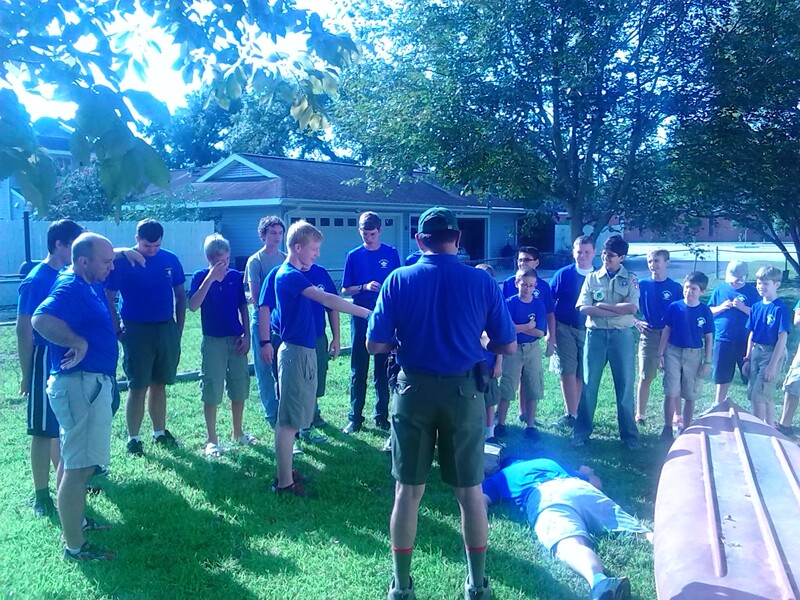 On Saturday, August 31,20013, we had Troop 464’s Emergency Prep Drill. It was lead by ASM George Hernandez. 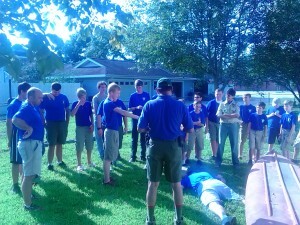 The boys completed several parts of the Emergency Prep Merit Badge. 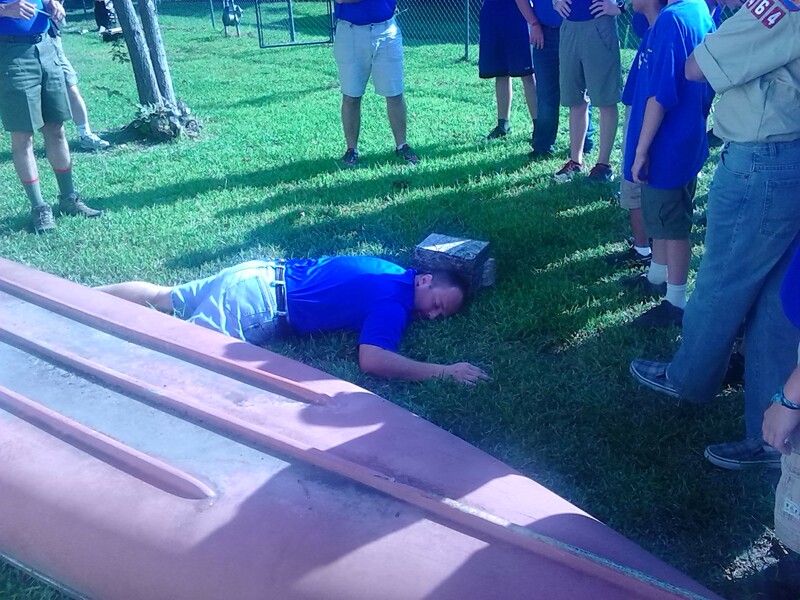 One of the tasks they had to complete was to assess several injury emergency situations. Below are pictures of 3 of the situations.